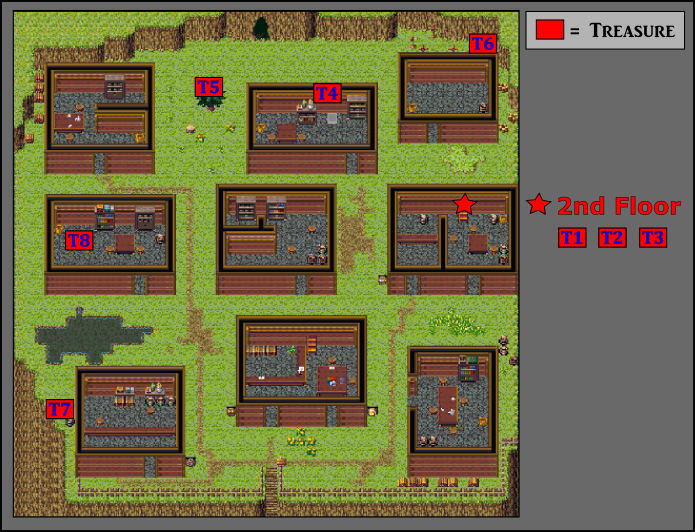 The game starts with Blont (the main character) upstairs in his shop. Before you take the stairs, examine the barrel in the southwest corner for a Medical Herb, and the cupboard in the northwest for a Phoenix Down. Then, check the basket in the northeast corner for an Antidotal Herb. Bruce is the first person to join your party. Now go down the stairs to meet Blont's friend Bruce. 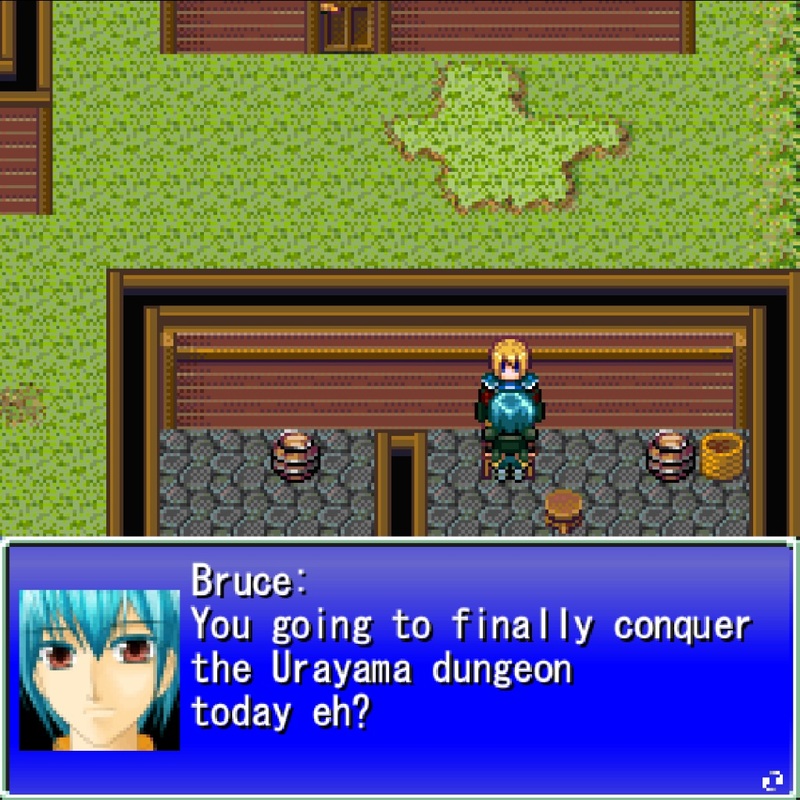 After the quick dialogue, talk to Bruce to get him to join your party. Now, you can talk to everyone else in the town if you want to. Most of the townspeople just say random stuff, but now and then, it is pretty entertaining. Equip Blont with the Plumed Hat you find in the graveyard, then go to the Item Shop and buy a Wooden Stick and a Leather Hat, and equip them both to Bruce. Now head for the opening in the north of town, and your next destination - Urayama.